Ultimate Collector’s Series. That’s a pretty hefty name to attach to a line of Lego sets. 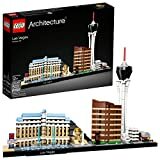 Legos of all kinds can be very collectible, but the ULTIMATE series of collectible Legos? That’s a lot to live up to. Luckily, but not surprisingly, Lego has consistently delivered on this line since it’s inception in 2000. 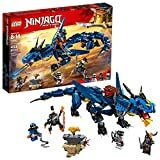 The line is intended to be extremely detailed with high piece counts and great looking builds geared primarily towards more advanced builders, and price tags to match. The line was initially limited to Star Wars only, knocking out the iconic TIE and X-Wings from the start. Over time, the series would expand from ships to characters, landscapes, busts, and, of course, the Death Star. It took a while, but in 2006 the first non-Star Wars entry into the UCS world was the Batmobile. 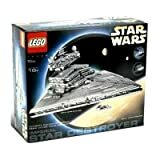 Since then, only two other non-Star Wars sets have been released under the UCS name: the Batman Tumbler from The Dark Knight, and the massive SHIELD Helicarrier from Avengers. 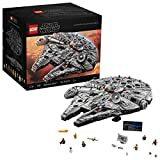 UCS sets tend to release about twice a year and can stay in production for a few years, depending on the set. 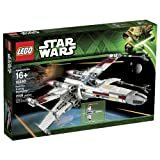 There aren’t many UCS sets in production at any one time, so we have listed all of them below. We are only posting sets that can currently be purchased at or near MSRP at the time of the writing. 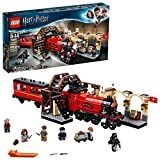 Things can move quickly in the Lego world, so availability isn’t guaranteed to last, but the newer sets should be safe for the near future. At the end of the day, this is our website and our list, so our opinion had the final say. However, we’d be fools not to use the opinions of thousands of other brickheads out there. We checked out the set ratings from the top retailers and factored them into our ratings when necessary. We weren’t going to have a strong opinion swayed, but if we were on the fence about any, we’d take those ratings under consideration. The components come down to “what’s in the box?” This is an important aspect of any Lego set, but arguably even more so in a licensed theme. As a fan of the movies, you know the sets before you start building them. Sets which have the perfect balance of nostalgia and just plain cool features will inevitably rise to the top for us. Boba Fett is, of course, one of the most iconic characters from the Star Wars series, quite amazing given his actual role in the original trilogy, he has taken on a folk status among fans. Slave I is his ship and this Lego set is massive. 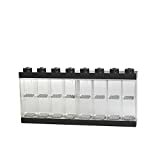 It’s got a bulk to it that even other large sets on our list don’t have. It is 1996 pieces and the finished product feels incredibly sturdy. Comparing it to the completed Tie Fighter, with its massive wings, shows a huge difference despite the sets being similar in the number of pieces. Slave I comes with four minifigurines and a bonus Han in carbonite. Boba Fett, Han (not in carbonite), and the Stormtrooper are all classic minifigurines and great additions. The final minifiguring is a Bespin guard, fitting for the kit, but kind of a bland minifigurine within the Star Wars universe. This set will take a few hours but remains a relatively straightforward build. The completed Slave I is one of the most eye-catching kits in the Star Wars series. 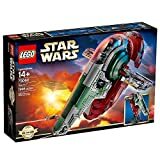 The bold green and red decoration stand at a stark contrast from the shades of black and gray most things in the Star Wars universe are comprised of. 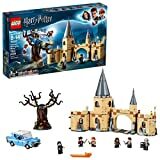 A fun, extended build, a great massive, great looking final product, and fantastic minifigurines, what more could you want? 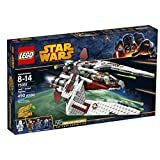 With such an iconic and ubiquitous series like Star Wars, there are going to be some entities which are almost too obvious as candidates for great Lego sets. 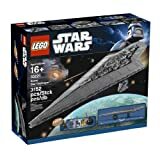 The TIE Fighter ranks up there among the most iconic ships in the Star Wars universe and it is great to see Lego produce a high quality kit from the source material. 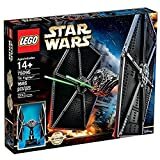 The TIE Fighter is a large build at 1685 pieces, the final result has a huge presence due mainly to the massive wings on the ship. It is quite cool to see Lego give the TIE a large scale build like this, it is a part of their Ultimate Collector Series. The minor complaint here is that it only comes with one minifigurine, which makes sense given the context, but we still enjoy getting a few with our bigger set purchases. The build will take a few hours, there is some redundancy with how massive the wings are, but the end result is fantastic so the build is ultimately incredibly rewarding. This thing is simply a fantastic beast of a Lego set. This is an entire in the Ultimate Collector’s Series which was exclusively Star Wars and Batman before this Helicarrier came out. It is huge at just under 3,000 (!) pieces and will take up a full weekend putting together. Luckily, unlike some of the other massive licensed sets (looking at you, Death Star), the Helicarrier is absolutely worth it. 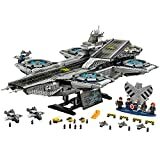 As seen in the first Avengers movie, the Helicarrier is a flying aircraft carrier. Those with a sharp eye will note some differences between the movie version and the Lego set, but some liberties had to be taken to make the set a bit more eye popping than the movie version. One major change that this set contains is microfigurines. The set contains twelve of these, which are extra small figurines. You get four Heroes (Nick Fury, Hawkeye, Captain America, and Iron Man) along with eight generic SHIELD agents. The reason for their existence is to allow you to use figurines that are of a reasonable scale compared to the ship itself. Which the ship is massive, a normal minifiguring would be well over ten feet tall in the scale of the ship. The microfigurines are generally nice, but we would have preferred to get more Avengers and less Generic SHIELD Agents. The set does include five normal minifigurines; Nick Fury, Hawkeye, Black Widow, Captain America, and Maria Hill. The same complaint from the microfigurines applies here; as much as this set costs, I couldn’t get all of the Avengers? Despite those gripes, the Helicarrier remains awesome. It has a ton of technic pieces making up the core of the hull and allows for the rotors to be turned smoothly via a crank on the back end. There is room to hook up the Lego Power Functions (sold separately) and automate the rotors, we didn’t find that to be worth the trouble, but you might enjoy that feature. Even with a few small complaints, this set is fantastic. It will be the centerpiece of your display with bright colors and a ton of interactive sections. This is a great entry in the UCS line and a great example of what the line does well. The Snowspeeder is taken from The Empire Strikes back, it’s a no frills ship but still looks very cool. The UCS representation does a fantastic job of depicting the details on the ship. You get the iconic color scheme, detailed gunners, movable airbreaks, and a great cockpit. This set is low on playability but makes for a fantastic display piece. One of the primary goals of UCS is to create amazing looking displays, and the Snowspeeder certainly fits the bill. This is a very fun set. 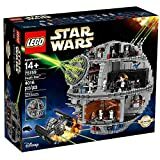 The reviews out there are a bit mixed on this one, but the primary complaint is that it is too similar to the original UCS Death Star build (10188). That’s a perfectly fine complaint, there was probably room for improvement when they designed the updated version. However, if you never had that set, the current Death Star will be plenty of fun. The feature list on this one is too big to run through in the space here, but rest assured it has great playability and the whopping 23 minifigurines are just icing on the cake. The set contains rooms depicting some of the most classic scenes from A New Hope. Trash compactor? Check. Jail cells? Check. Emperor Palpatine’s throne room? Check. The list goes on. If you are an ultimate Star Wars fan, this set is a worthy addition to your collection. This is a bit of an odd entry into the UCS and this list. Unlike the others which portray a specific ship or character, Assault on Hoth depicts a battle. The set is sprawling with a large number of smaller structures and ships. As such, this set honestly feels a little bit lacking compared to other USC sets. What is included is quite cool, don’t get me wrong, the various attack guns, blast doors, crane, control room, etc… are all fun little components, but the whole package feels somewhat incomplete. The major reason for this is the lack of AT-AT. How can you have a Hoth battle without an AT-AT? Logistically, we get it, that’s a lot of pieces to add, but when you sit down to fight the battle of Hoth, you can’t NOT have an AT-AT. 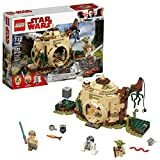 As such, despite some very cool features like a Tauntaun and Wampa (and its cave), this set as a standalone falls short of the others currently out there. 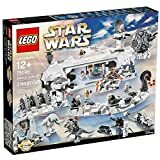 If you are a big Hoth fan and/or got your hands on the great, retired AT-AT set (75054), then you should dive right into Assault on Hoth. 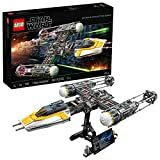 If you just want the coolest Star Wars UCS sets available, you should probably look elsewhere.